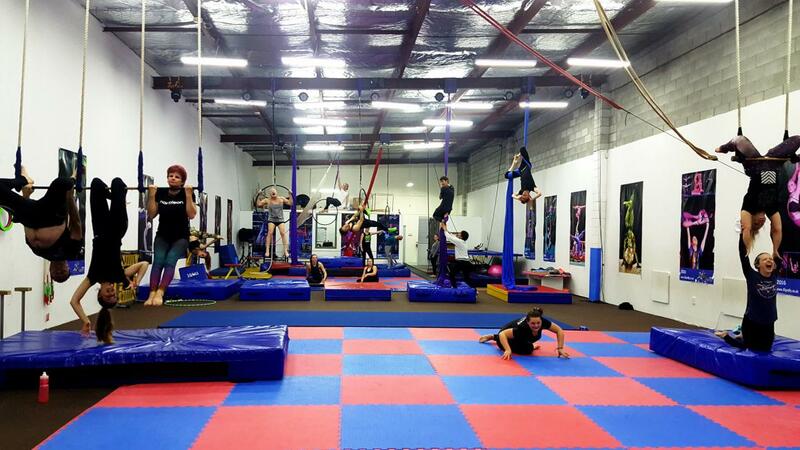 These are fun and challenging physical circus classes for anyone who is serious about improving their strength for aerials or just want a general workout – they are open to all levels of fitness and ability. The class consists of an initial quick warm-up routine followed by light stretching to get the muscles ready for action in the air. Next, you will be learning a wide variety of skills on a suspended circus rig that includes static trapeze (single and double trapezes that do not swing), Trampoline, Skipping, Acro, Handstand, Lyra (hanging hoop) and Aerial Silks (hanging stretch fabric).